How much will it cost to develop a marketplace app like Uber for Babysitters? Developing on demand marketplaces is becoming the next big revolution after Ecommerce. Ecommerce connected the right products to the demanding consumers; the same is now being done by o demand marketplace like Uber for matching the right skill inventory with the right demand. Babysitting is no different thanks to on demand marketplace like Uber for Babysitters concept. Why is the need of on demand marketplace app like Uber for Babysitters? As the workloads, stress levels and fatigue are increasing amongst millennials, more people are resorting to babysitters and nannies to take care of their children. It poses a problem since the demand for the services of a trustworthy babysitter are now exceeding the supply of such people in the economy. Hence, comes the dire need of having an on demand marketplace for such services. When it comes to taking care of their children, most of the parents only prefer expert solution like Uber for Babysitters, an on demand mrketplace, which can ensure the safety and wellbeing of their children. One way can be to have your own employees stay available for providing the services in your selected areas. This way, you will be able to ensure quality but this model is difficult to scale further. 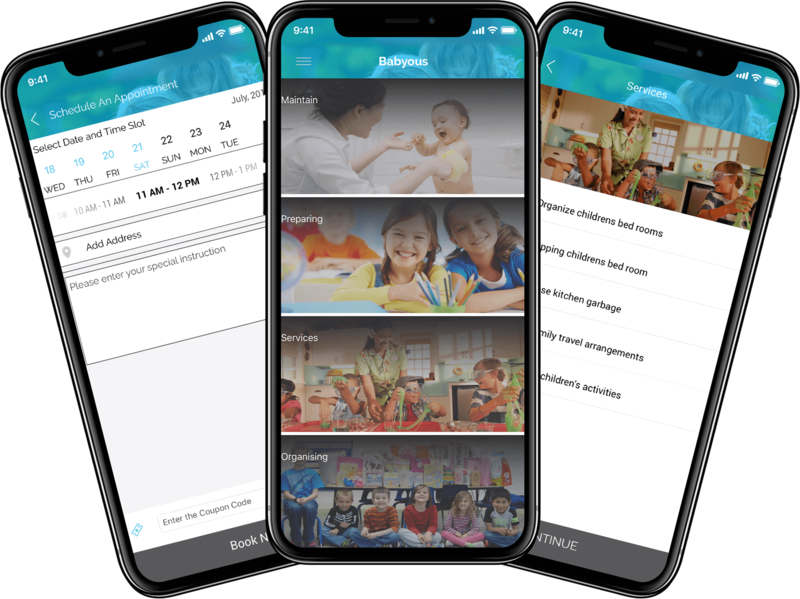 Another way can be by bringing the best known babysitters in each locality on board and letting them list their services on your platform. This can be scaled moderately and also ensures a certain amount of safety. That said, the charges of most of these experienced professional babysitters may drive a few customers away. An alternative way can be to open up the marketplace to anyone and everyone who wants to get the job done at the given rates. This can help you scale right away but you will need a strong system to verify people’s backgrounds. An ideal path can be to have both professional and temporary freelancers babysitters on board, providing the services as and when required. Listing Charges: These charges would be levied on the service providers on the platform. For a nominal fee they will be able to list themselves on your platform. Promotion Charges: These charges will be payable by the service providers who want to increase their visibility on the platform. Surge Charges: In case of overhauling demand in any area with relatively lesser supply, you can put in surge pricing to incentivize babysitters to go to the household offering more fees, thereby putting the demand-supply cycle into place. Advertising Revenues: Once the app starts garnering routine and decent amount of traffic, it can be monetized by providing ad spots on the app. Looking to develop your own marketplace for babysitters? Due to inflation and sudden shake ups in the global markets, parents are working harder to keep their children immune from yet another crisis by working harder on their own jobs. Hence, the on demand marketplace app like Uber for babysitters has a genuine use case for tech entrepreneurs like you and product developers like us. We are a leading mobile app development company in India and USA who can help you build the right fitting product that shall help you get into niche markets. Our expert on demand marketplace developers and consultants help you find strategic features that will help you grow with unique features and services. The cost of developing a marketplace for babysitters will cost $24000 to $27000. You can understand the constituency of these costs by looking at the following detailed list of features. The algorithms will help your platform comprehend the effectiveness of each profile, rank it on the basis of relevance to a search query and finally run predictive analytics to see where does it fit in the puzzle. More data will help your babysitters create a more likeable profile; at the same time, it will help your consumers find the most relevant babysitters. Sometimes, it does not matter how seamless or lucid the product interface is; it depends upon what the users make out of it. A Chabot helps your users navigate easily throughout the app. Also, for feedback purpose, it can help your customer representatives team to get in touch with new customers and get their feedback instantly. Finally, by putting our rich and deep experience in blockchain, we help you add another layer of security to the payments system on your app. Why us for developing an on demand marketplace like Uber for Babysitters? We are a team of experienced and highly enthusiastic software developers, app developers, UI/UX designers, business analysts and product managers. Collectively amongst us, we have an experience of 10 years in the mobile application development services. 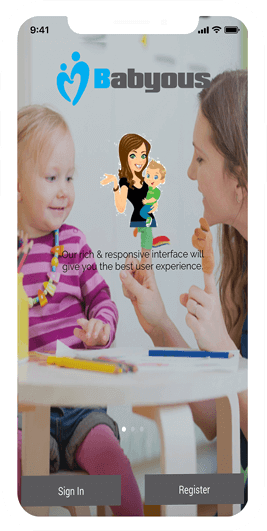 We also help you developing and implementing an effective product strategy for babysitters marketplace. We bring years of combined expertise in end-to-end app development, business analytics and product management. Due to our expertise, we can guarantee app approval from both Android and iOS app stores. We have highly efficient testing policies. We are with you throughout the process- ideation, product development, pivots, updates and deployment. The global industry for helping young parents take care of their children is growing by multitudes. As income levels and job stress increase, the demand for this market is almost certainly going to grow for a very long period to come. It’s time for your own babysitter marketplace platform to gain momentum in the market leveraging our skills. So, what are you waiting for? Featured vendor: Payment for displaying at top of search results. How do I ensure proper time tracking of services provided? We include time stamped message board by default. So babysitter current location and time spent is auto-tracked in real time. Should booking require full payment in advance? Does my platform require feedback submission module? Yes, of course. While having a marketplace app, it is very important to include a feedback submission module. It increases the reliability and goodwill between the customers and the owner. Have an !dea to develop app platform like Uber for Babysitters?